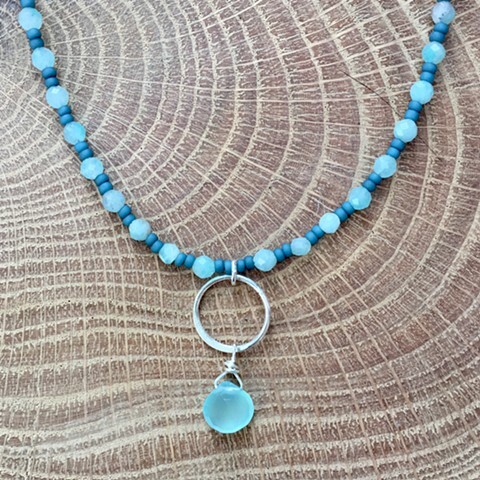 Faceted light blue aquamarine beads with blue space seed beads, silver circle and chalcedony tear pendant. Delicate and fun to wear everyday. Also great for layering. Sterling lobster claw closure. 16.5" long plus 2" sterling extender chain.